So, I took a trip to town today. The single goal was to buy all the items that I needed to create this awesome behavior kit. That's right...tomorrow I shall be prepared. So last week I asked a mom of a new student what kinds of things I could use for positive reinforcement. Her response was simple. "Candy." She said, "What three year old doesn't like candy?" So, the behavior kit was born. Here's what you will need to create your very own kit! Basically what you are looking for is small bite size pieces of candy for a quick reinforcement that doesn't take long to eat. The reason you want them organized in a tool kit is because you want to be able to QUICKLY grab what you need and QUICKLY reinforce the behavior you are looking for. Anything that you can think of that is a small item that the student really likes. Please note if your students have any allergies or medical conditions before you give them any type of reinforcer! Now use your cute stickers to decorate the outside of your kit! I hope that this helps you in your therapy adventures. Take a look at my Behavior Intervention Strategies and Documentation on TeachersPayTeachers for more behavior management ideas! Problem Behaviors...am I the only one? So this year...I'm getting prepared. It helps when your BFF is a preschool behavior guru. She's been such a blessing. What has she taught me? When I have that student who will not listen, they are being disruptive to the group, not focused on the task, up walking around the room...you know the kid...the one who is waiting for you to get up out of your seat before they listen. Yep, this is my second year with that one. So, this year I am giving the students who are behaving in the group a little sercy. That's right, just a little piece of candy, goldfish crackers, a sticker or anything small that they like. But the kid who isn't listening doesn't get one quite yet. This week that kid said, "I don't like candy anyway." I smiled. I knew the game. So I told him, "Okay, well when you listen and follow directions like the others in the group, I will let you choose a sercy." Guess what the student chose after his time of following directions was over? Yep, candy. I smiled. This time because I knew that I had found a way to get that student to understand that you can be reinforced for your positive behavior. Set out a visual timer and let them see how long they need to participate or sit still or play a game, then when the time is up, positively reinforce them. Sometimes we find ourselves with students that just need some redirection. Some need verbal cues, some need physical cues. You just have to pull out all the stops to find out what the kid really likes and then use it to your advantage! It could be something as simple as a tickle or a high five! This also works for the new little ones that come in without any expressive language skills. I have found that they have a great deal of behaviors that need to be addressed. So you have a puzzle and you want them to place one puzzle piece into the correct place. Just ONE, right?! Well, pull out the reinforcer of their liking and say, "Do you want a (insert goodie here)?" Let them see the item and think about it. Most of the time, if the reinforcer is too yummy to pass up, they will attend to the task you asked them to preform. 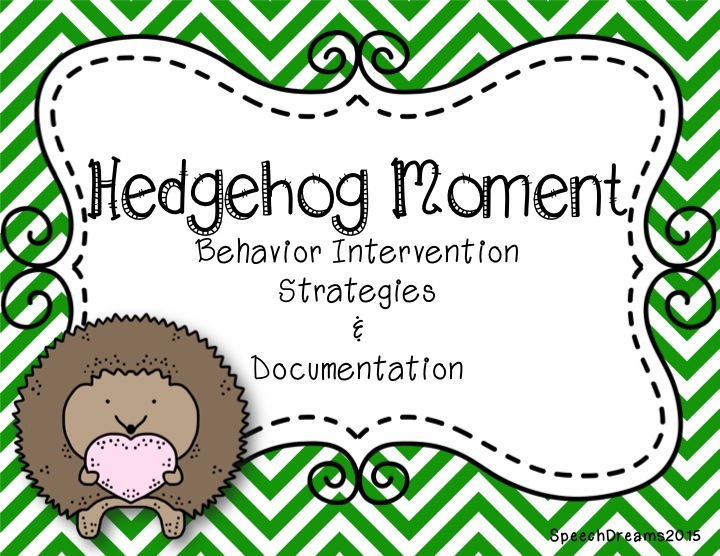 Stay tuned for my next blog post: The 10 item behavior kit.